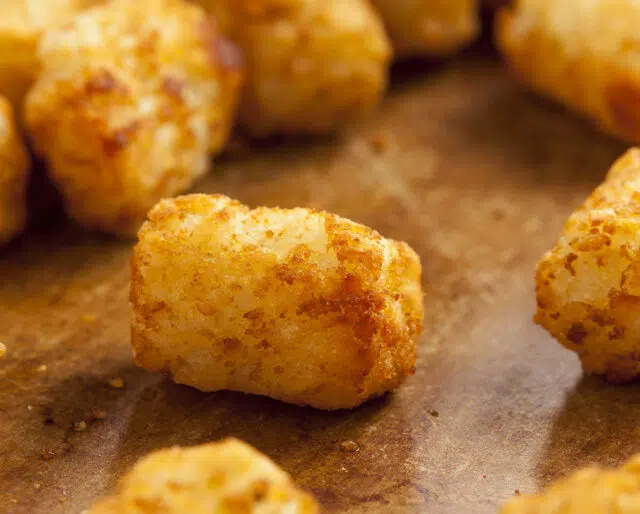 Your love of tater tots likely stems from elementary school (with a little help from the 2004 classic film “Napoleon Dynamite”). However, there’s far more to these little nuggets of potato than that. Did you know they’re considered “fine dining”? At upper-echelon restaurants all across the U.S., you’ll find tater tots on the menu, right next to foie gras. Read more for some crunchy tips on how you can celebrate National Tater Tot Day this February 2. Well, because these little (potato) babies need a day all their own. Don't you just want some this minute? Credit a company named Ore-Ida (for Oregon-Idaho). Their slogan? "When it says Ore-Ida, they're all-righta!" It's a tater tot hot spot now — but they didn't serve them when they first opened. Don't forget — have your favorite condiments (and antacid) on hand. There are a plenty in the U.S. that serve them. Though sometimes restaurants do it better, today is a great day to test your baking skills and make some. You can find great recipes online, or come up with something on your own. People though of them as the "unwanted" parts of potatoes. However, clever marketing — and actually making them more expensive — eventually changed all that. In Australia, you'll discover that tater tots are not tater tots. They're potato gems. Every year, Americans consume a whopping 70 million pounds of tater tots. You've likely called a potato a "tater" before. Throw in "tot" — for obvious reasons. Potato rounds, potato puffs, tater puffs, potato cylinders, potato nuggets, potato croquettes, baby taters. That's right — potato cylinders. Baked. Scalloped. Au gratin. No arguments here. However, when that potato is a tiny little tot you can just pop in your mouth, well, we seem to love them even more. Did you know that they're made from the leftover parts of french fries? By eating them, you're keeping potato waste to a minimum. Tater tots are great for "on the go"
As much as we love a good baked potato, they're not very portable. Ever try to eat one while driving? Tots, on the other hand, can be enjoyed anytime, anywhere!